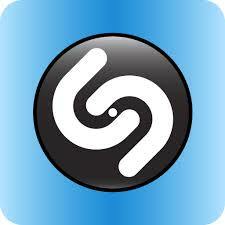 Shazam and the World Cup? What’s going on? Where are you? You came out at the Super Bowl with your most successful campaign yet with a live performance from Bruno Mars, and you’ve been appearing on US TV screens for almost two years. The world’s biggest sporting event launches and you’re almost invisible? Shazam enabled marketing or the Shazam integrated experience – whatever you want to call it, the concept takes engagement to a new level. Australian audiences are still uncertain of the viewing disruption but we’re well on the way to creating meaningful and relevant second-screen entertainment experiences. Regardless, I’ve got to say the World Cup must be the biggest missed marketing opportunity of all. The numbers speak volumes. In 2010, 106 million people watched the Super Bowl in contrast to the 909.6 million TV viewers who watched at least 1 minute of the 2010 World Cup Final. The event is generating about 500,000 mentions daily and is likely to be the largest social sports event ever. For Shazam, the appointment of Patricia Parra (ex Hulu content marketing executive) to the role of CMO on 12 June may have come 12 months too late, although it does flag an exciting era ahead for the audio identification app brand. The brand headed up in Australia by CEO Andrew Fisher, opened a local office in 2013 and in the 12 months prior had launched campaigns with global brands including Diageo, Proctor & Gamble, PepsiCo, Unilever, HTC, Brown Forman, Blackmores, SC Johnson, Lion and American Express. Maybe these should re-run, timed with our (consumers’) better understanding of second screen engagement as a way to connect with brands. I’m not sure we were clear on the point of it all back then. …and for the record in just under an hour there have been 2,451 posts on Twitter at #WorldCup2014. Amazing!